7. Create Web 2.0 Flashcards in a Flash! If you are interested in teaching online-here's how do you get started? Check out this new video how Clarence Maise get you started on the right track with your online course development. He will do this by identifying the parts of the process and what each entails and how to get through all of this with your sanity intact. Take a look around, check out the postings, and maybe you will leave with a new idea or at least a new resource. 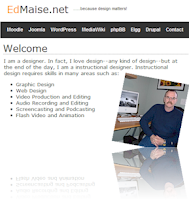 I am an instructional designer for the University of Missouri at St. Louis. After 25 years working for several large multinational manufacturing companies I decided to give academia a try. I have worked as a instructional technologist and designer for almost 10 years now. 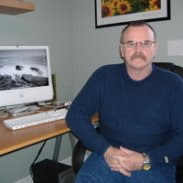 I have been doing online course design and teaching from the beginning of our modern era of online. I can remember when there where no learning management systems and all our HTML was written using a text editor. I think these are great times for designers and teachers online. With Web 2.0 tools and open source we have some of the best learning tools ever. Using wikis, blogs and flash videos I am able to build wonderfully collaborative online work spaces. The Danish Ministry of Education wants to allow ‘A’ level students to use the Internet in exams. Check out the reports in the Danish media, how Danish ‘A’ level students are likely to be able to use the Internet in their written exams if a test run later this year proves successful. The Ministry of Education says that pupils already use the Internet for tests. “It’s a good way to get hold of historical facts or an article that can be useful, for example, in a written social sciences exam,” Ministry Education Consultant Søren Vagner tells Danish newspaper MetroXpress. Today I have Kat Sanders guest blogging. Please be sure to check out her guest post. Guest posts are always welcome, please contact me. When you’re out of a job, you either tend to mope around and feel sorry for yourself or do something proactive and seek to utilize your time wisely by enhancing your skills through an education. Even if you still have a job, you’re looking to cement your position and advance by furthering your knowledge and earning another degree. The fact that you can learn at anytime, anywhere is the best advertisement for e-learning. When you’re free to learn at your own pace and set your own schedules, when you can study from the comfort of your own home and not have to go out to another place to do so, you feel more inclined to learn and gain a more advanced degree. Besides this, e-learning is also more cost-effective than regular learning, a fact that is alluring in these times when money is hard to come by and every penny has to be spent wisely. With a larger number of people showing an interest in enhancing their skills with a degree or through other e-learning ventures, the providers of this service will be pushed to deliver more competitive offerings that are suited to the requirements, needs and budgets of organizations. They will also strive to provide courses that are tailor made for small and medium businesses and for particular industries. E-learning is one initiative that will definitely stand the test of time, and as long as there are computers and learning programs around, this method of education will always find takers. The Engineering A Better World Blog is about applying the general principles of engineering; testing, method, research, creativity, and artistry, to our world in a very practical way. By highlighting the creative work of others and by presenting new ideas, we'll attempt to improve the world around us in our little way. Practically speaking, we'll cover new ideas, highlight people who are making a difference, and provide resources to inspire you and give you the resources to assist you in changing the world for the better as well. This article is written by Kat Sanders, who regularly blogs on the topic of online engineering degree at her blog The Engineering A Better World Blog. Kat Sanders welcomes your comments and questions. Many thanks to Kat Sanders.